Raise your hands up to make Great Saves with Luis Robles and the New York Red Bulls in the fight against pediatric cancer. Let’s all rally together to make Great Saves to Tackle Kids Cancer! This season, the New York Red Bulls and Luis Robles are joining the team at Hackensack University Medical Center to make Great Saves in support of Tackle Kids Cancer. The Red Bulls and Luis Robles will make a donation of $375 for every save that Robles makes over the course of this season. Learn how you can pledge support for every save made by Luis Robles. 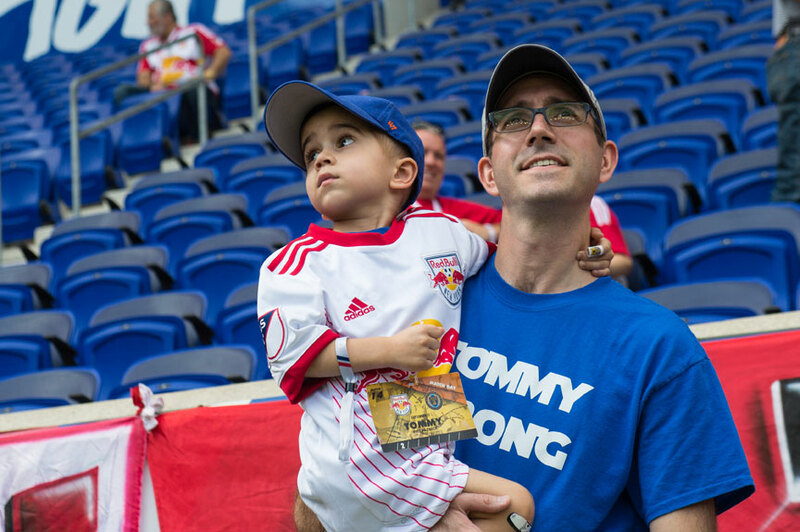 September is Childhood Cancer Awareness Month and we partnered with the New York Red Bulls to take over the match versus Philadelphia Union. From the beginning of the match to the fighting end, Tackle Kids Cancer was highlighted throughout the night. Check out the photos from the match in the link below. During Childhood Cancer Awareness Month, our MVP, Niamh, joined the New York Red Bulls roster for a day by signing an honorary contract. Niamh spent the day practicing with the Red Bulls team; warming up with them, running drills, and even scoring goals against goalie, Luis Robles. Niamh found out how much training the Red Bulls have to do every day, but it was an experience she will never forget.